Do you offer replacement parts? For most products, we do offer replacement parts. Please click here to contact us or call Customer Service at 086 210 7489, Monday through Thursday, 8am to 4:30pm and Friday, 8am to 4pm. How old should my baby be before they are able to sit in the upright seat of a Baby Jogger? 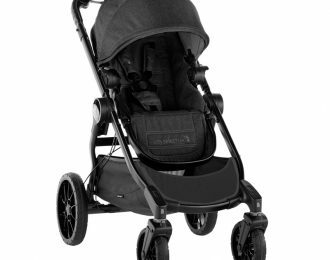 Our strollers and joggers can be used for children in an upright position from approximately six months to five-years-old. We do not recommend placing your baby in the upright seat of the stroller or jogger until they are able to sit and hold their head up without assistance. How can I use your Baby Jogger strollers with an infant? The City Mini and City Mini GT strollers have an increased recline angle to a near flat position to accommodate newborns. That means you can safely lay a baby in the fully reclined seat of these strollers without the use of a car seat adapter or bassinet. Please keep in mind that babies should have ample neck support when placed in the reclined seat of a stroller – you can use any number of neck supports sold at baby stores. Is my car seat compatible with your car seat adapters? Please see the compatibility chart below for details on which car seat models are compatible with our strollers. What are the differences between an EVA, Forever-Air and Pneumatic tire? An EVA tyre is a lightweight molded plastic wheel that is compressible – ideal for pavement or smooth urban terrain. EVA is found on many durable goods, such as shoes. This wheel is available on the Vue Lite, City Mini, City Mini ZIP, City Lite, and City Tour strollers, which helps to make these strollers lightweight, agile and compact when folded. A PU foam-filled tyre is a “rubber like” tire, that is more durable than EVA yet still lightweight. It’s ideal for multiple terrains. The City Select (front wheels only) and City Premier feature this type of tire. A Forever-Air tyre is a rubber tire inflated with a lightweight foam instead of air. This ensures the tire will not go flat with frequent use or rough terrain. This is our most all-terrain tire. The City Mini GT, City Elite, and City Select (rear wheel only) all feature Forever-Air tires. A Pneumatic tyre is an inflatable rubber tire that provides a comfortable, smooth ride on many different terrains. The Summit X3 has pneumatic tires, which adds to its all-terrain capabilities. 5.0″ – 8.5″ Wheels – Ideal for indoor strolls, walking on pavement or smooth urban terrain. These smaller lightweight wheels are perfect for city dwellers who need a compact stroller for every day use. 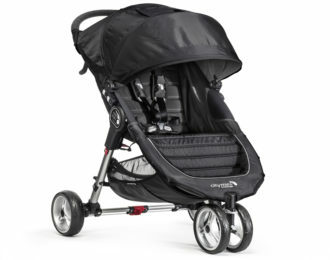 Strollers for this wheel size: Vue Lite, City Mini, City Mini GT, City Mini ZIP, City Lite, or City Tour. 12″ Wheel – Perfect for walking on grass, trails, sidewalks or in stores. 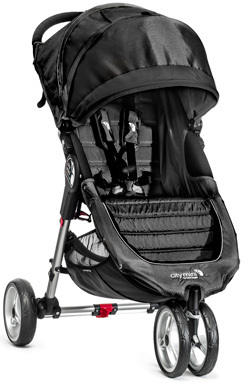 Wonderful for city life where smaller wheels offer a more compact, maneuverable stroller. You will fall in love with the 12″ stroller wheels if you have previously owned a conventional stroller. 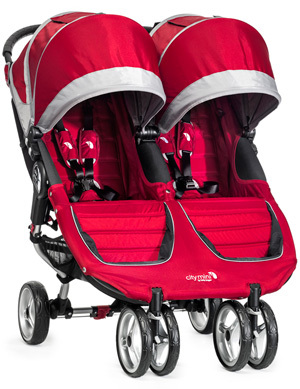 Strollers for this wheel size: City Elite, City Select or Summit models. 16″ Wheel – Great for walking or jogging and is still very easy to store and transport. It’s large enough to handle snow and sand yet still small enough to fit into tight spaces. Strollers for this wheel size: Summit X3. Do all of your strollers have a seat, which fully reclines? The Vue Lite, City Mini, City Mini GT, City Select, City Mini ZIP, City Lite, City Elite, and Summit X3 models have reclinable seats that are suitable for use with a newborn. Please note that the Summit X3 recline is for cruising purposes only. Please do not run or jog with the seat fully reclined. The City Select, City Premier, and City Tour have reclining seats that are suitable for use from 6 months up. Yes, the seat and canopies of our strollers and joggers are made from strong, lightweight, washable fabrics which easily detach from the frame. The seat should be washed in cold water on the delicate cycle of your washing machine and attached back onto the stroller to dry. How much air should I put in my tyres? Baby Jogger recommends inflating your tyres to 20 PSI. Your tyre rim may say a maximum of 40 PSI, but please only inflate to 20 PSI. You can use a standard bicycle pump to inflate your tyres. Yes! Safety comes first at The Baby Jogger Company. We test and retest our products to ensure that all our current prams either meet or exceed ASTM and/or EN 1888 testing standards for prams and carriages. Remember, we are the original Baby Jogger Company and that means we have over 25 years of experience caring for your precious cargo. What’s the difference between the City Mini and City Mini GT? Can I fold my pram with car seat adapters attached? All prams that are car seat adapter compatible will fold with the adapter attached. This includes the Mini line, City Elite, Summit X3, City Mini ZIP, City Premier and City Select. How do I wash my pram? The seat and canopies of our prams and joggers are made from strong, lightweight, washable fabrics which easily detach from the frame. The seat can be washed in cold water on the delicate cycle of your washing machine and attached back onto the pram to dry. Are your prams covered by a warranty? Yes! Except where noted, our frames are backed by a lifetime warranty against manufacturer defects. The parts of your pram, excluding tyres and tubes, are warranted to be free of manufacture defects for a period of 1 year under normal use and in compliance with the operating instructions. When going to the store for a warranty claim, please have your proof of purchase/slip on hand to expedite the process. What is the warranty process if I live outside of the United States? 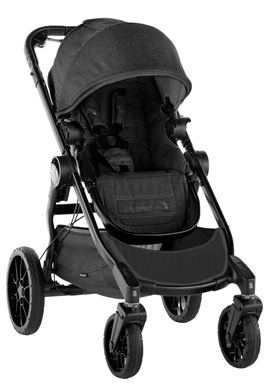 The warranty of your pram or jogger is covered by the country in which you purchased it. If you purchased your Baby Jogger from a USA retailer while living in another country, you are responsible for any shipping charges to and from the USA that may incur to fulfill a warranty claim. 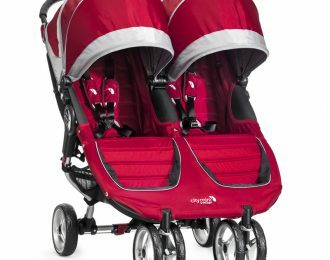 I live outside of the USA, how can I buy a Baby Jogger? Please see our retailers to locate your nearest store.